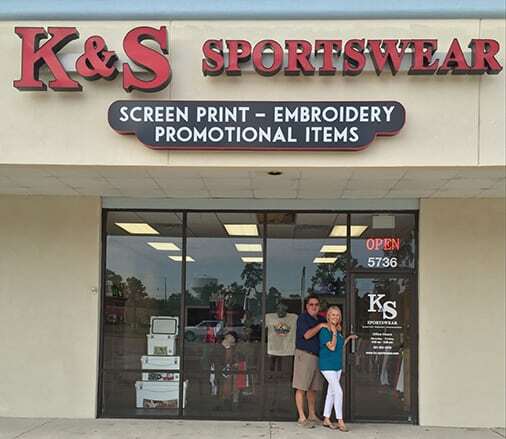 K&S sportswear has been a family owned and operated Houston business since 1995, bringing personalized material advertising to life with our embroidery techniques, our screen printing masterpieces and of course the endless promotional item services we offer. Check out the services we provide below and what we can do for you, your team, your business, or even your school. Our work is sure to stand out from the rest. Screen printing in Houston, TX will instantly bring your apparel to life, whether it’s from a drawing you created yourself, a logo, or a photo captured just in that right moment! We will work with you directly, one on one every step of the way, ensuring that your vision translates perfectly. Along with personal and direct communication throughout the entire printing process we will also send you a digital example before the print ever hits the material to make sure it meets your standards and make adjustments if desired. 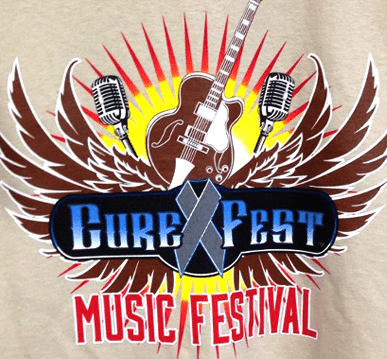 Screen printing is an awesome technique we offer to anyone wanting to share vivid eye catching advertisement, team spirit, or even simply wanting to create and show off a personalized look. Embroidery in Houston, TX is a great tool you can use to promote yourself or your business through branding and merchandising. Embroidery is a creative way to advertise brands and content, creating more and more avenues to reach people and make yourself known with your own personalized look. From jackets and hoodies, to hats and bags, the possibilities are endless. 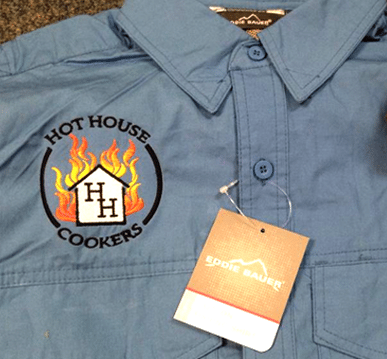 Branding apparel items is one of the best ways to advertise for yourself or your business and so much more. Our promotional items in Houston, TX are an endless possibility, limited to only your imagination… Mostly! You can take a company logo, a mascot, or a digital picture of any kind and smoothly apply it to almost anything for the use of advertising and even promotional gift giving! From coffee cups, koozies, lanyards, key chains, and even footballs, we’ve got you covered! Customizing promotional items is a pretty fun and creative service that we offer that is especially unique to your brand and styling preferences. 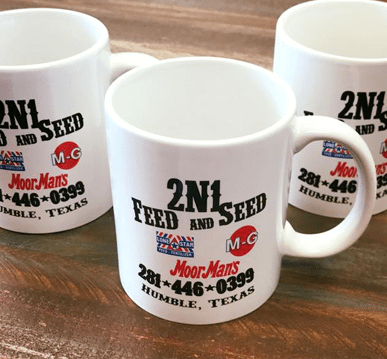 Companies that drop off personalized gifts and apparel to other businesses or individuals are always remembered most and stand out, especially here in the Houston area! There is nothing like seeing your customers, family, and friends sporting your stylishly branded apparel. If you’ve seen it, we can customize it!